Included are KOYO bearings and races along with high quality seals and small parts. 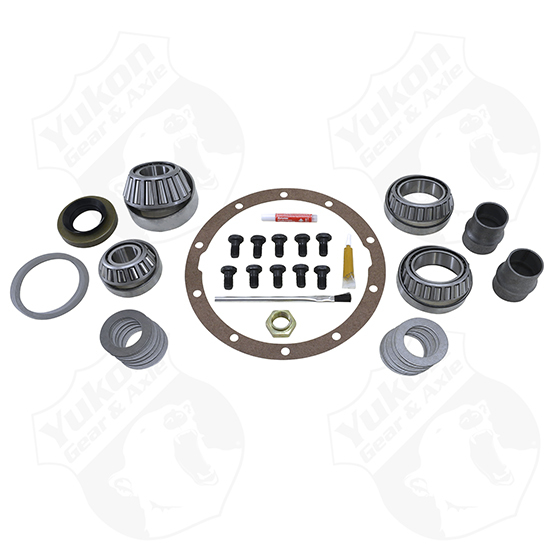 Purchased this rebuild kit with the promise of Koyo bearings only to receive it and have the carrier bearings be Timken bearings. When I called to ask about the discrepancy in the description vs the parts received I was told that they probably ran out of the koyo bearings and substituted a “higher quality” Timken bearing. Timken makes a fine bearing (now owned by Koyo) but is not up to the same quality as Koyo. Instead of just explaining the situation, the salesman either had no knowledge of the product, or tried to make me feel better about getting an inferior part. Disappointed.